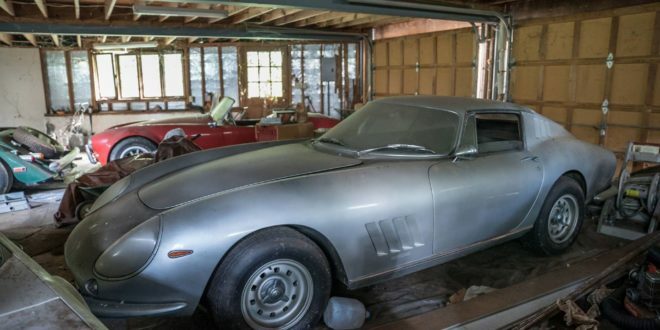 A rare 1967 Ferrari 275 GTB with an alloy body and a 1966 Shelby Cobra 427 are among the amazing collection of forgotten car discovered in a garage in North Carolina. 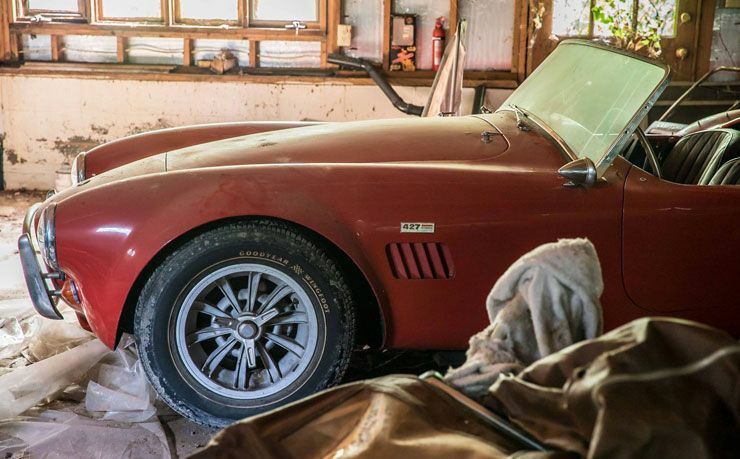 Discovered by Tom Cotter’s author and historian for Hagerty’s Barn Find Hunter video series, it also includes a 1976 Triumph TR-6, the 1978 Morgan Plus 8 and the BMW 325ix from the mid-1980s. The car owner drove them into the garage following the motorcycle death of his trusted mechanic and personal friend. Another suitable mechanic was not found and the years rolled by. 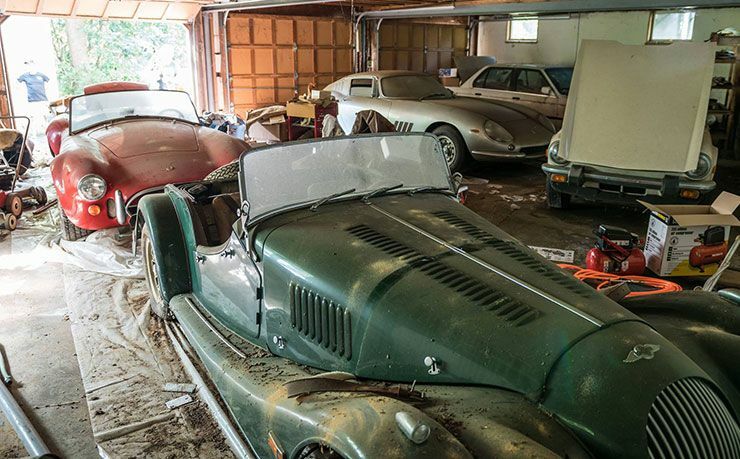 Cars, which were all taken to the garage in 1991 and have not been moved since then, are estimated to be worth as mush as $ 4 million. 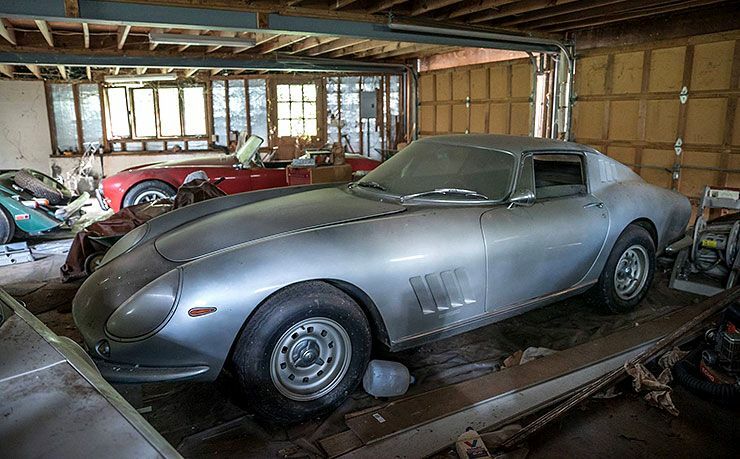 That could still be a low estimate; Similar Ferraris have sold in the $5-8m range on their own, albeit in better condition and in slightly different shapes. Ferrari is one of just a few dozen legacy models ever produced and stunning, the coupe has only 13,000 miles on the odometer. Under the hood is a two-component V12 designed by Gioacchina Colomba, with three twin-throat Weber carburettors. Next to Ferrari was another once in a lifetime find: the all-hearted Shelby Cobra 427 from 1966 with only 19.001 miles on the odometer. The chassis number identifies the roadster as one of about 100 built equipped with a 428-cubic inch engine instead of 427. The Triumph TR6 has just 9,000 miles on the clock and the Morgan Plus 8 with a propane fueled from1978 with just 3,000 miles. For more see the video below for an incredible story!